Sorry I haven't posted in a while, I've had a lot of things going on at the minute from holidays to family stuff and I just couldn't find the motivation to get back into the swing of things. But I'm back! 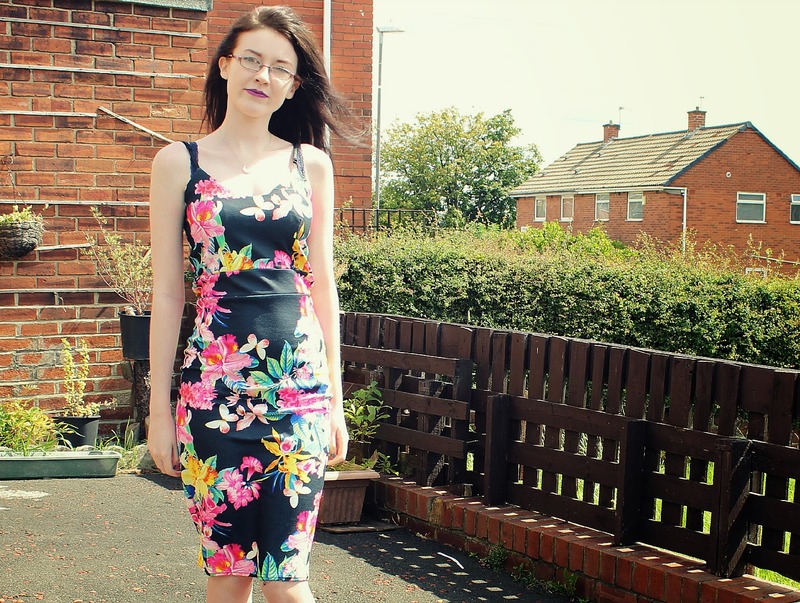 Today's outfit post features this gorgeous floral print midi dress from loveredlabel.com The Dress is made from a Crepe material so has some give to it which is great. The rounded v neck cut of the dress is definitely in this summer alongside the bold florals. The dress is very flattering on the figure and can be dress up or down depending on accessories. Paired with a simple dainty necklace and these gorgeous cleated soul shoes from Primark this outfit would be perfect for various occasions! those shoes are so lovely with that dress!! I am hosting a student box swap on my blog, for all those students out there. Please check it out, sign up and help me spread the word!